Rocky River Presbyterian Church will host the 9th Annual Alternative Christmas Charity Bazaar on Sunday, November 18, 2018 from 11:30 a.m.—1:00 p.m. The public is welcome at this charity-sharing event. Come learn about and visit over 17 charities and 1 Fair Trade businesses in one place. 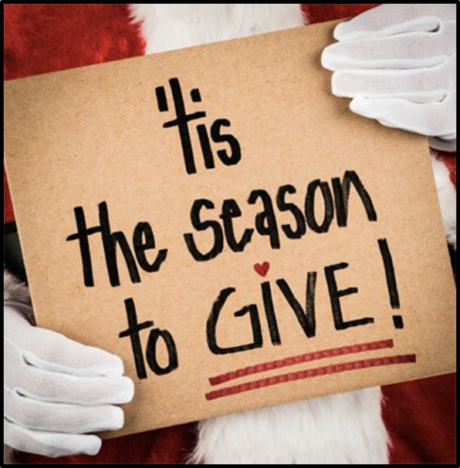 Donations to the charities at the Alternative Christmas Charity Bazaar are financial contributions to non-profit missions given as “Christmas presents” in honor of family and friends. — Volunteer opportunities are available to those interested. For more information, contact Anne Busher. At the bazaar, visit booths where representatives for each charity will be present to explain their services. Select one or several charities to make your cash (or check) donation to and receive a custom-designed greeting postcard with a description of the gift’s ministry. Donate to one charity or to all 16. The cards can then be given to your family, or friends telling about the charitable gift selected by you and given in their honor! 100% of all donations go directly to the charity and your gifts will be tax deductible. Who needs another ugly sweater? In 2018 visit more than 17 missions and 1 Fair Trade Business include: Cuyahoga Co. Habitat for Humanity, Cuyahoga Co. Animal Shelter, The Gathering Place, Shriners Children’s Hospital, Presbyterian Disaster Assistance, Church World Services, Puppies Behind Bars, SocksPlus, Dougbe River School, National Assoc. of Mental Illness, Metonia Project, Cleveland Food Bank, North Coast Health, Fisher House, Days for Girls, Providence House, Village Project, and the One World Shop. You can be “God’s hands and heart” as you honor loved ones in meaningful ways. We urge you to join us for this exciting mission project—you can be “God’s hands and heart” as you honor loved ones in more meaningful ways. If you have any questions, please contact us at 440-333-4888.